It happens every year. A major conference team comes out of nowhere in their conference tournament to make it to the championship and, in some cases, win the title. It also happens in some mid-major conferences that were expected to get just one bid, but then they send two dancing because of upsets in the league tournaments. "Well, [fill in bubble team of choice] has to root for [fill in league favorite] if they want a bid to the NCAA Tournament. If [fill in upstart team] pulls off yet another upset, it means that there is one less at-large bid for the bubble teams." This year is not going to be any different. With all the parity in college basketball this season, there are several teams that could make Cinderella runs in their respective conference tournaments. In some leagues, these teams are in the lower half of the league and win an early game before getting on a run, and all of a sudden they look like the second coming of the UNLV teams from the early '90s. In other conferences, these Cinderella teams are just ones that have a decent chance to upset the heavy favorite and steal the automatic bid. Who are the main candidates to make this kind of run in Championship Week 2007? Let's take a look at the major conferences, as well as the Missouri Valley, CAA and Mountain West, and find teams that have the ability to win a few games in early March. ACC: Florida State � Sure, the Seminoles are on the bubble right now. However, with two of their final three on the road, FSU likely won�t finish any better than 7-9 in the conference. In other words, this team�s March hopes could be shot before the ACC Tournament. That makes Florida State dangerous. Starting point guard Toney Douglas should be back by then, meaning that the Seminoles will have the team that beat Florida, Duke, Maryland, and Virginia Tech back on the floor. Al Thornton is one of the top players in the conference, and is near-unstoppable on the offensive end. FSU has athletes galore on the wings, with Isaiah Swann and Jason Rich. FSU is obviously a team that can beat anyone on a given night. Throw in the fact that the �Noles are going to be a desperate group heading into the Tournament, and this is a team that could burst some bubbles come March. Big East: DePaul � The Blue Demons were expected to make a lot of noise in the Big East heading into the season, but that hasn�t come to fruition just yet. However, it�s not too late. They have won three in a row, and four of their last five, meaning they could make a late push at an at-large bid as well. DePaul has one of the best inside-outside combos in the country, with guard Sammy Mejia and forward Wilson Chandler. Mejia can do-it-all at both ends of the floor, while Chandler creates a lot of match-up problems with his inside-outside ability. Draelon Burns is a big-time scorer on the wing. The Blue Demons have been one of the most inconsistent teams in the country all season long. They knocked off Kansas, Villanova, Marquette, and Notre Dame, but have lost to Northwestern, UAB, and St. John�s. If they have some momentum heading into the Big East Tournament, look out for the Blue Demons in New York. Another team to remember in the Big East Tournament is St. John's. They have some nice wins this year, and the tourney is played right in their backyard at Madison Square Garden. Big Ten: Iowa � The Hawkeyes are currently tied for fourth place in the Big Ten standings, but make no mistake; this team has no shot at receiving an at-large bid to the Big Dance. With that said, this team could get the league�s automatic bid in Chicago. Iowa has won four of their last six in conference play, including victories at Michigan and over Indiana. Adam Haluska is one of the league�s best scorers, and forward Tyler Smith can do a variety of things at the forward spot as a freshman. Outside of those two, the offensive options are limited, but Tony Freeman is quick at the point, and the Hawkeyes have a slew of big bodies down low. With the huge group of bubble teams in the Big Ten likely playing tight and worrying about their at-large status, Iowa is a team that could slip in there and win a couple of games in the conference tournament. That Haluska-Smith combo can carry them. Big XII: Missouri � Heading into conference play, the Tigers were expected to make a push for an NCAA Tournament bid. 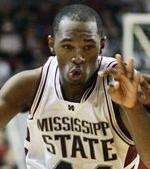 They were 11-2 at the time, with wins over Arkansas, Davidson, and Mississippi State. However, Mizzou started Big 12 play with four consecutive losses, essentially ending their at-large hopes. Lately, though, the Tigers have been righting the ship. They have won three of four, including Saturday�s win at Oklahoma State. Mike Anderson has instilled a �40 Minutes of Hell� system at Missouri, preaching a pressure defense and up-tempo offense. Stefhon Hannah can do a variety of things at the point guard spot, and his backcourt partner, Keon Lawrence, can score. Forwards Marshall Brown and Matt Lawrence are versatile scoring options in the frontcourt. The deep and versatile Tigers are not a fun team to play due to their style, and they could pull a couple of upsets in the Big 12 Tournament and make a run. Pac-10: Washington � This is another team that has disappointed since getting into conference play, but is playing better lately, and might be able to make a run at a conference tournament title. The Huskies were playing very well early in the season, and had one of the best offensive performances I�ve seen in awhile against LSU. However, they started Pac-10 play at 1-6, and dug themselves into a hole they likely won�t be able to get out of. With that said, UW is clearly playing better lately. They knocked off Oregon and Stanford a couple of weeks ago, and nearly beat Washington State and Pittsburgh last week. Spencer Hawes and Jon Brockman are a dominant interior duo down low, and Quincy Pondexter is an athletic wing. Justin Dentmon is a solid point guard. The Huskies are very young and could be rounding into form. I�m not on the �Washington will get an at-large� bandwagon (see: Steve Lavin), but I think that UW has the talent to make a run in the conference tournament. SEC: Mississippi State � Don�t be fooled by the fact that the Bulldogs are tied for first in the SEC West; this team is not going to get an at-large bid to the NCAA Tournament. Their resume simply has too many holes. However, this Bulldog team is a quality group that has the pieces to knock off a few teams come tournament time. Moreover, with the SEC full of bubble teams, Mississippi State will have the opportunity to ruin at-large dreams for several teams. The Bulldogs might only be 6-6 in the SEC, but they have been killed in close games, as they are only 11 points from being 10-2 and an NCAA lock. Jamont Gordon is one of the top all-around players in the country, with the ability to get points, rebound, and assists with the best of them. Freshman Barry Stewart is a good scorer, while Dietric Slater and Reginald Delk are also part of a deep wing group. Charles Rhodes has the potential to be one of the best big men in the SEC. Look out for this team in the conference tournament. Missouri Valley: Wichita State � The Shockers have been one of the biggest stories in college basketball season. They started as one of the top teams in the country, with road wins at Syracuse, George Mason, LSU, and Wyoming in consecutive weeks. Then all of a sudden, the bottom fell out. WSU is 8-11 since their 8-0 start, but has only lost one game by double-figures, and has been competitive in their losses. Moreover, they have the personnel to make a run. Kyle Wilson is an inside-outside scorer that creates match-up problems; P.J. Couisnard is a versatile wing; and Ryan Martin does a variety of things to help the Shockers. In the backcourt, Sean Ogirri is a prolific long-range shooter that can get hot from deep. Mark Turgeon will have his team ready. Remember, this is a team that returned four starters from a Sweet Sixteen run a year ago. Beware of them making a run in the MVC Tournament, aka "Arch Madness." If they play up to their potential, the Braves might be in the other "Madness" come Selection Sunday. Mountain West: San Diego State � The Aztecs received a lot of hype this past week after winning five in a row to put themselves in position to potentially receive an at-large bid to the Big Dance. However, after their loss at Wyoming, that talk has subsided for now. SDSU is only 7-5 in the Mountain West standings, but the preseason favorite heading into the year has all the pieces needed to make a run in March. The Aztecs have arguably the best player in the league in wing Brandon Heath, who can do nearly everything on the court. Mohamed Abukar creates a lot of mismatches in frontcourt, while Jerome Habel is starting to assert himself down low. Former Louisville transfer Lorrenzo Wade is another athletic player for SDSU that can make a big impact in the conference tournament. SDSU blew out Air Force and UNLV in the span of a week by a combined 36 points. Any team that can do that is a real sleeper threat in my book. CAA: Hofstra � The CAA is shaping up to be one of the best conference tournaments in the country. There are four teams with at least 11 wins in conference play, and three of them have a legit shot at a potential at-large bid. The one that doesn�t have at-large hopes? The only team to beat each of the other three contenders in the conference � Hofstra. The Pride were one of the last teams left out of the 2006 NCAA Tournament, although they beat eventual Final Four team George Mason twice. They were expected to be one of the top mid-major teams in the country this season, but a 0-3 non-league start hurt their prospects. However, they are 12-4 in conference play, and have the ability to beat anyone � and lose to anyone (as demonstrated by losses to Delaware and Northeastern). The three-guard backcourt of Loren Stokes, Antoine Agudio, and Carlos Rivera is one of the best in the country, and gives the Pride a perimeter that is unmatched by most teams. Hofstra doesn�t have much in the frontcourt, but if their guards get hot, it won�t matter. I wouldn't be surprised to see this team in the CAA championship, but it is also not out of the question for the Pride to be done in the early rounds. I�m betting on the former.